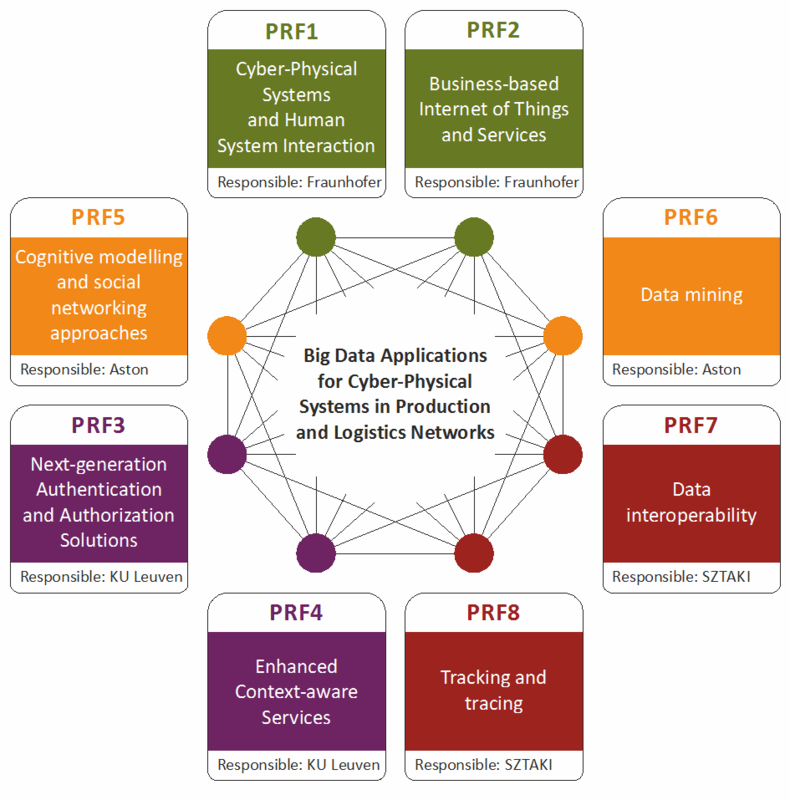 EXCELL foresees the collaboration of academics from four European countries (Hungary, Germany, UK, Belgium) in the multidisciplinary topic of Big Data Applications for Cyber-Physical Systems in Production and Logistics Networks. The main scientific and innovation focus of EXCELL was devised both from worldwide tendencies and local requirements, departing from the present competences of the cooperating partners (SZTAKI, Fraunhofer FIT, Aston and KU Leuven). Hands-on experience by using and contributing to software tools. Fraunhofer FIT covers the areas of cyber-physical systems, human-system-interaction as well as business-based Internet of Things and Services and brings in its experience from the past and current international projects. In addition, networking events beyond the project consortium will foster the international collaboration between EXCELL and its partners. The knowledge and skills exchange measures taken within the project will support the scientific impact of all partners since EXCELL explicitly pursues cross-discipline collaboration. EXCELL project is co-funded by the European Commission.